GALAXY WATER PROOF SOLUTION 400ML is rated 5.0 out of 5 by 1. 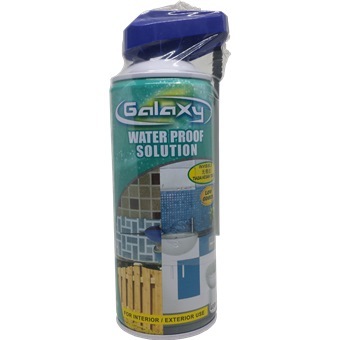 Galaxy Waterproof Solution specially formulated with nano molecules material which ensure deep penetration into substrate. Solution will form very strong chemical bonds to provide excellent waterproofing, water breading and permeabilility to water vapor. Rated 5 out of 5 by Jack20 from Its Work i used it.....and its work. Great , important feature is NO NEED HACK TILES....can fix leakage easily.